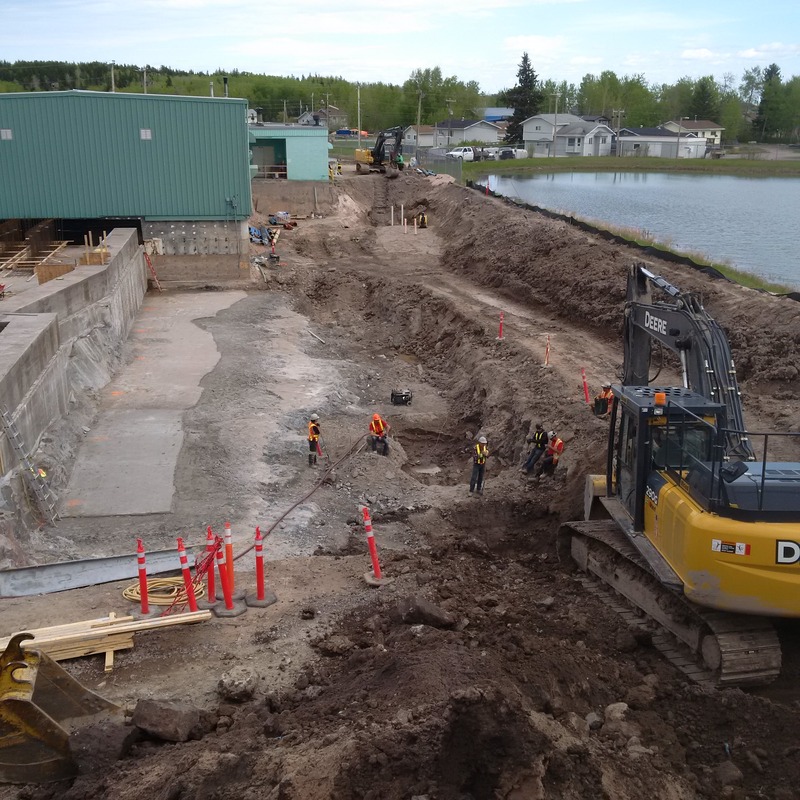 The scope of work included the excavation and backfilling for the new addition of the water reservoir, the rerouting and reconnecting of existing water lines and the installation of new lines with valves at the new water treatment plant. 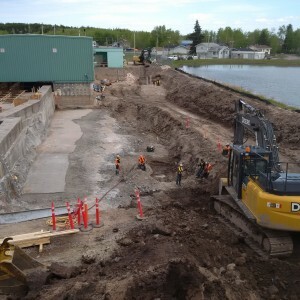 This portion of the work was challenging due to the amount of bedrock that was encountered with a depth of five meters. Due to the age of the old water reservoir numerous lines were in use and others were abandoned; however, plans were not current causing our work to be slightly delayed. 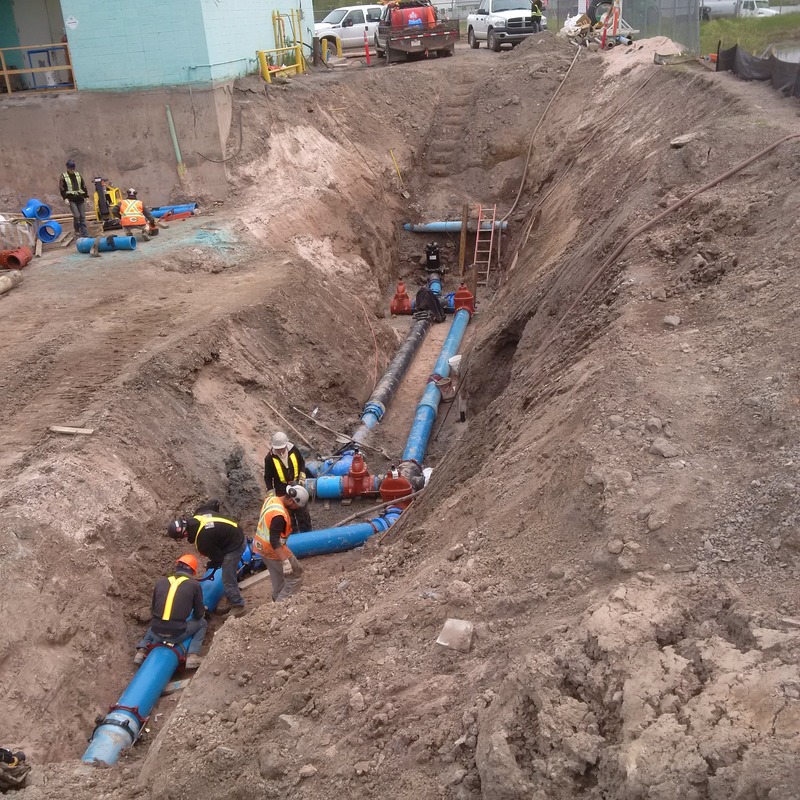 New distribution lines were supplied and installed within the town limits complete with hydrants, valves and service to residential lots. All road crossings were capped with concrete due to asphalt not being available in Ft. Chipewyan. This scope of work was completed three weeks ahead of schedule.